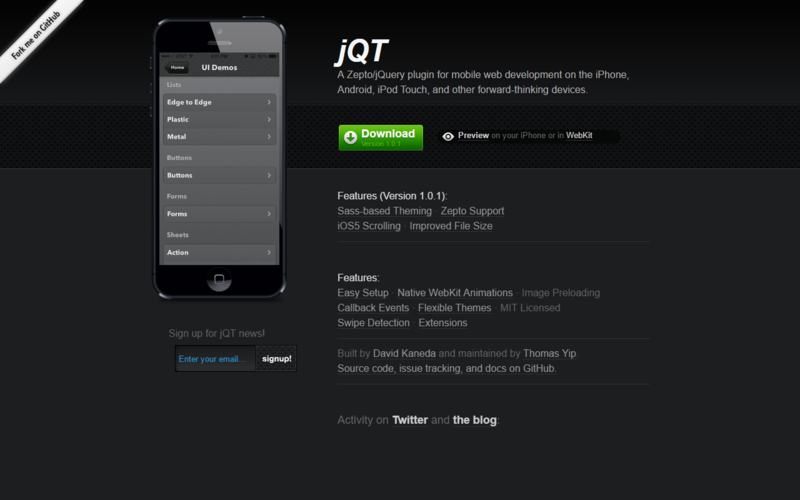 jQT is a Zepto plugin for mobile framework primarily designed for Webkit browsers. 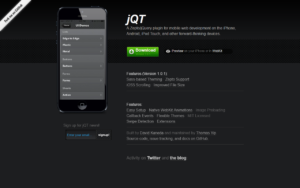 jQT is easily customizable and extensible. 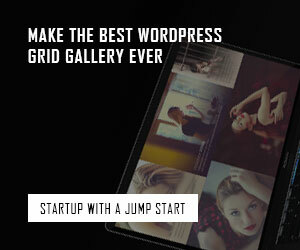 It comes with a theme that can be modified using Sass/Compass, cool 3D transition that is adjustable via CSS3, plus developers could also extend jQT with their own required functionalities.